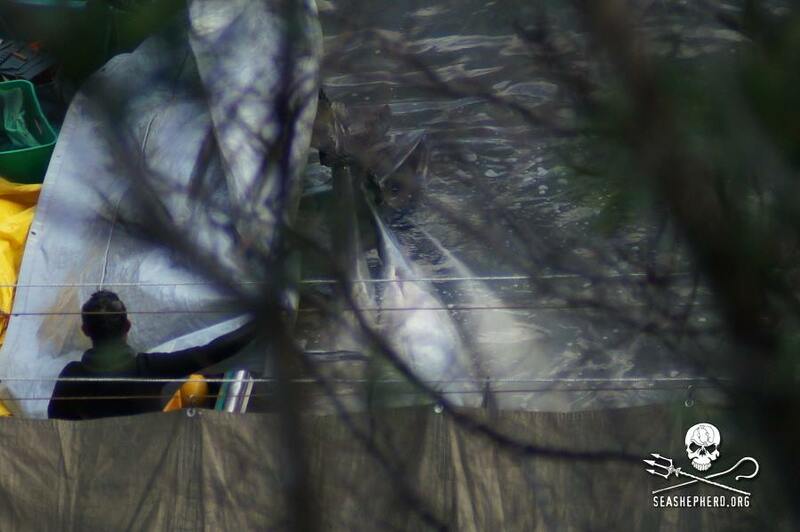 After being held for over 21 hours in the killing cove, a family of 33 Bottlenose dolphins were torn apart with 12 being dolphins taken captive and the rest of the pod brutally slaughtered. 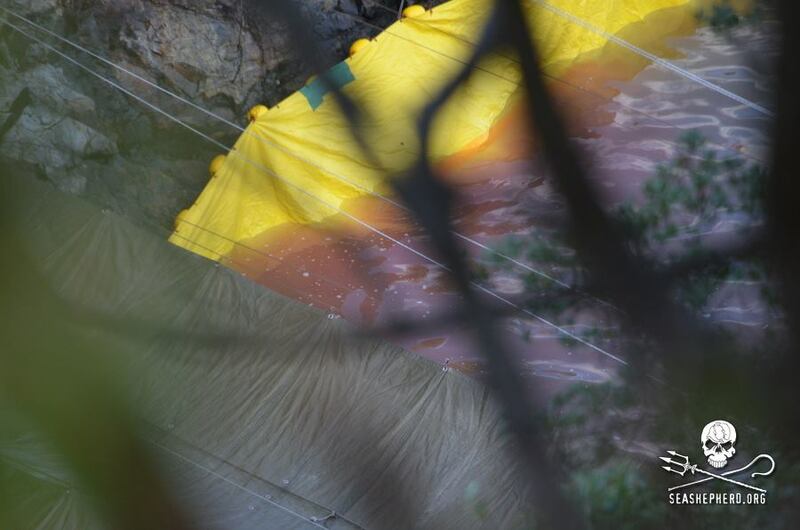 Once all the killers, including trainers, were in the cove, the pod was herded to the killing shore for an inspection of each individual member. 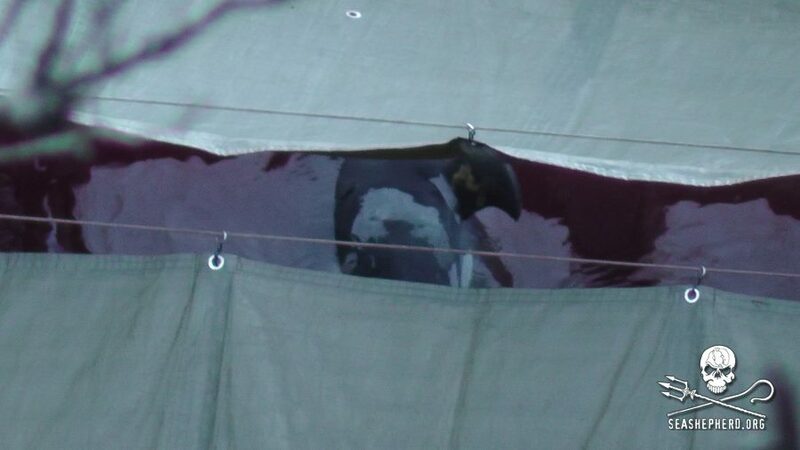 Throughout this captive selection the thrashing of the pod can be heard high above the cove which is followed by the blood seeping into the water, leaving us with broken hearts that these dolphins were once again the victims of the profit and greed of the Taiji fishermen. 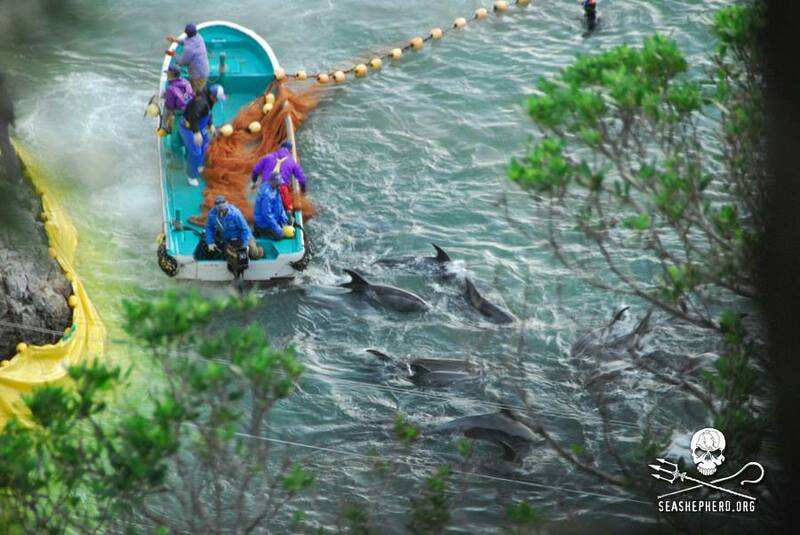 Those not taken for captivity, were needlessly and inhumanely slaughtered for human consumption. 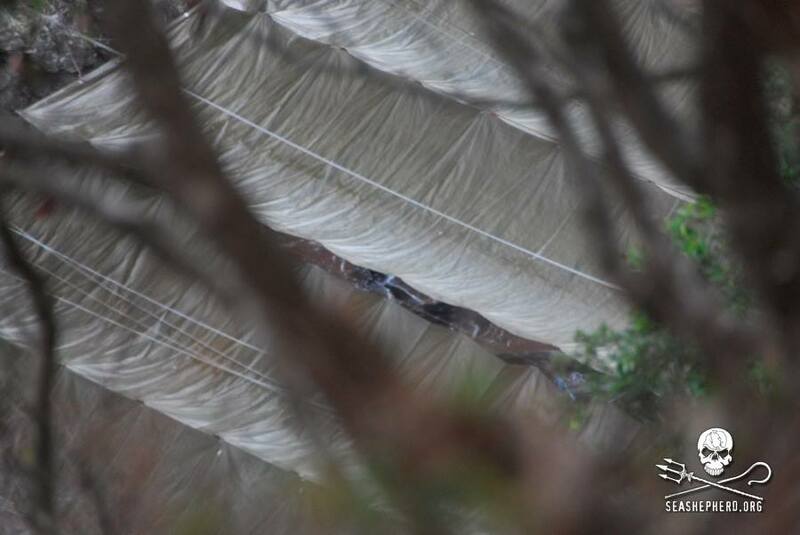 Several Bottlenose bodies floating in the waters of the killing cove, under tarps the killers use in an attempt to hide the bloodshed. Reminder to all of those who are contemplating a visit to Sea World, Marineland Canada, Discovery Cove or any other similar captive marine mammal facility or swim with dolphin program …. 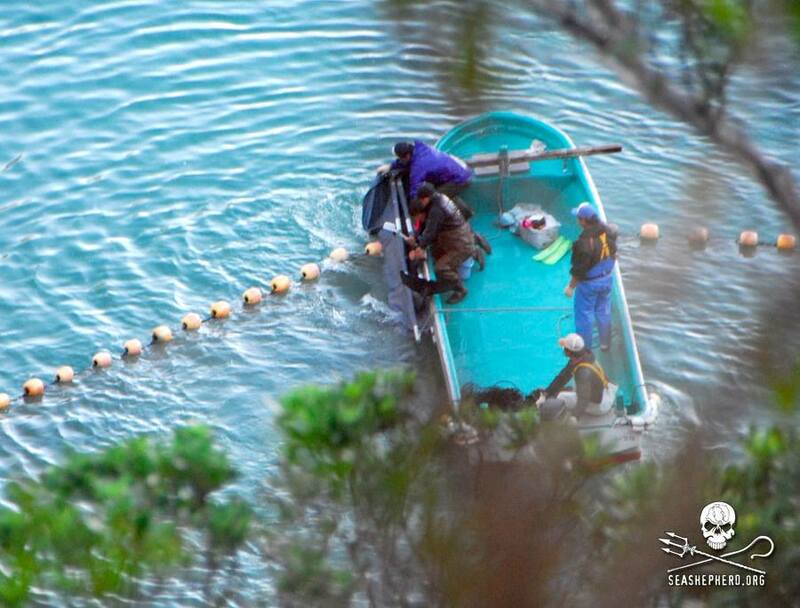 your ticket to such places supports the annual dolphin drive hunt in Taiji. 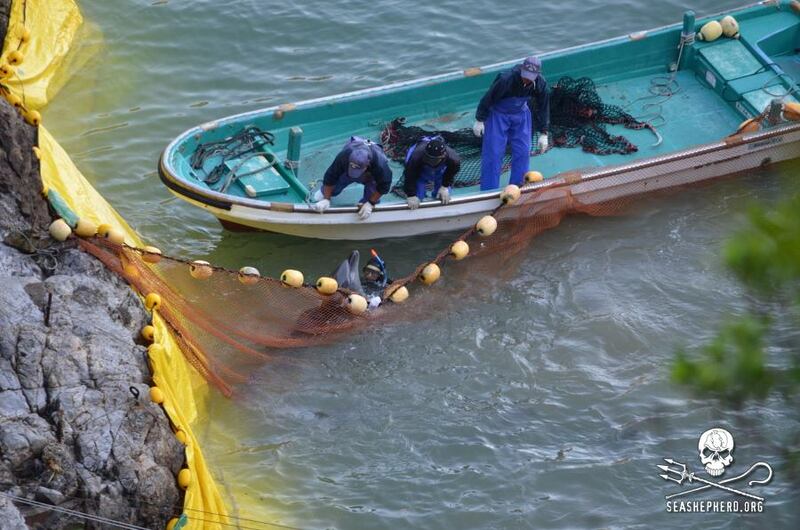 Simply stated … Please do not support captivity … dolphins are literally dying to entertain you! 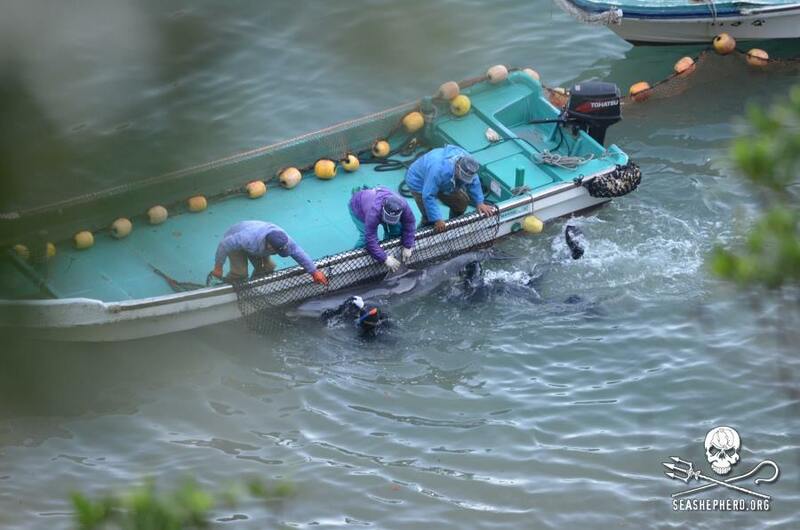 For the Cove Guardians bearing witness and documenting the atrocities that are currently occurring in Taiji … THANK YOU … the world would not know the ongoing brutality against dolphins and whales in the waters of Taiji!